The moment I really got fascinated by biology was when, aged 16, I saw a water flea’s heart beating in a school lesson. Up until that point I liked the subject but had never been really excited. Labelling the parts of a flower or an eye was fine, but not thrilling! I was discussing my experience with Daphnia with Isabel Torres, a like-minded post-doc in the same department, and we decided to establish an outreach project introducing the microscopic world to even younger children. The idea was to try to spark an interest in science that would persist for as a long as possible. It was an experiment; we did not know how much the children would take in or what they would like to see the most. We were very lucky to receive generous funding for educational microscopes and cameras from the Lister Institute and the MRC, who have supported primary research in my lab. We spent a fun few days trying different samples. One afternoon we had about a quarter of the LMB’s Cell Biology department along to marvel at Tetrahymena ingesting carmine particles! Once reasonably confident in our “Microscopes4Schools” program we persuaded a local school to act as our guinea pigs. We found that the 10 and 11-year olds were thrilled by the microscopic world and were engaged by all the activities. With the help of many great volunteers from our institute, particularly Monica Brenni and Marwah Hassan, we’ve since run the workshop at several local schools, at three Cambridge Science Festivals and for hundreds of children at our institute’s open day. The children use cheap, robust stereomicroscopes to identify mutant fruit flies and to match up samples (ladybirds, butterflies, seeds, flowers) with high magnification images that we provide. Activities with compound microscopes include looking at live Daphnia (! ), Tetrahymena, Volvox and the children’s cheek cells. We’ve learnt that it does not take a lot of money to run such an outreach activity. 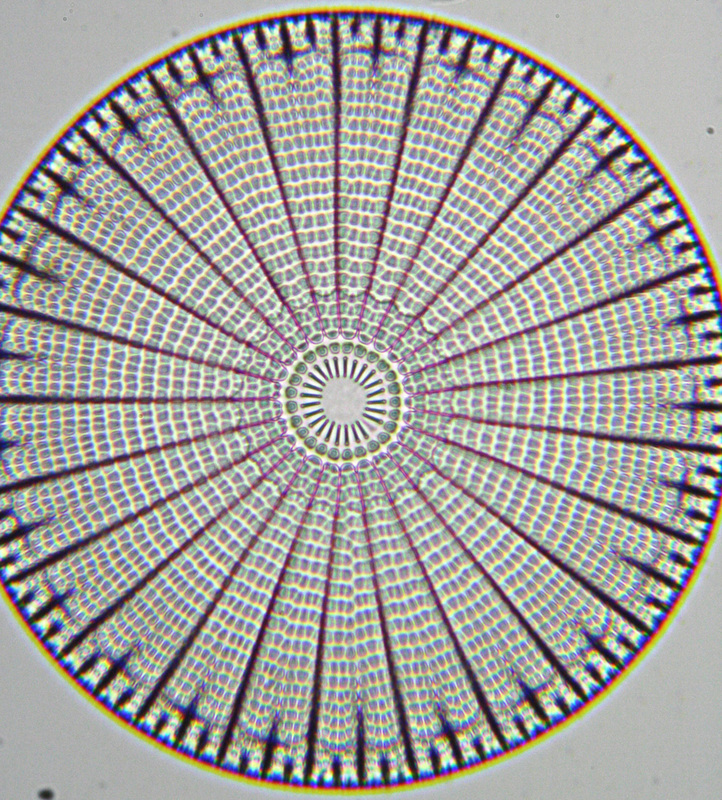 The stereomicroscopes cost approximately £40 (€50/$70) and the compound microscopes cost just under £200 (€250/$350), yet producing images of great quality (see diatom image below). Although we’ve typically taken several microscopes to schools I’ve recently run a scaled down version with a single educational compound scope and a CCTV camera, which I connected to a data projector. This was for five to seven year olds and they too were thrilled to see the samples. Another successful initiative has been to lend a user-friendly digital microscope to local schools for two weeks so that they can take images of samples collected by the children. 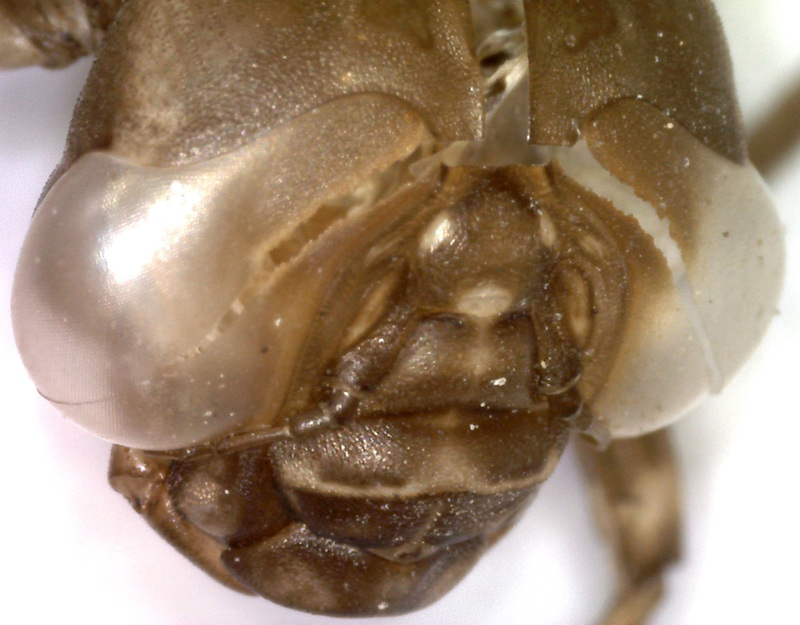 This has evolved into a “Science Image Award” (an example of an entry is shown below) with the best image winning an educational microscope, which is generously provided by a sponsor. This activity brings the children in contact with the natural world, which does not happen regularly for many of them. 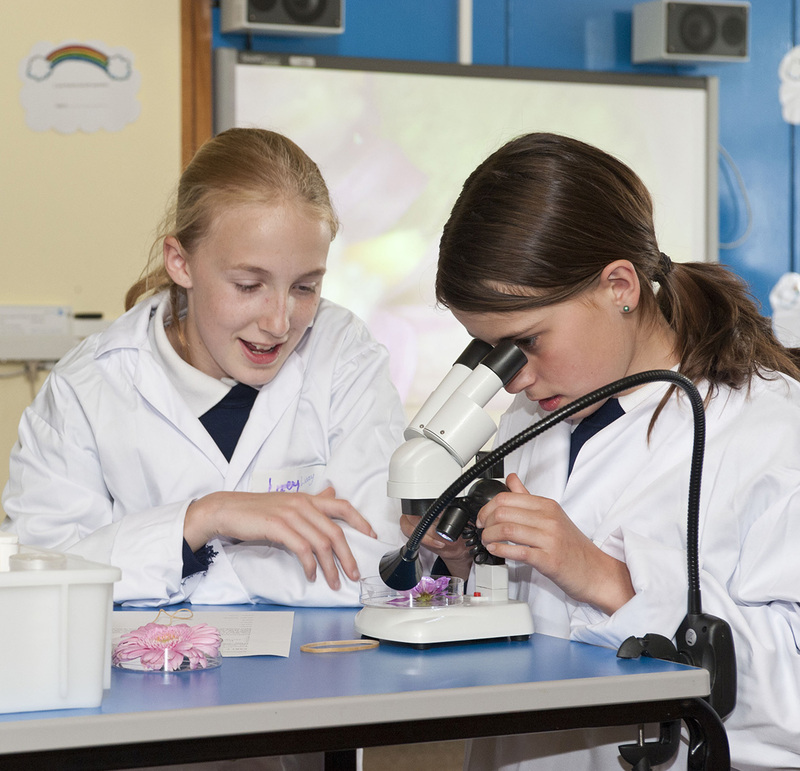 We put together our experiences in a website, www.microscopes4schools.co.uk, which includes advice on sourcing suitable microscopes and supplies, as well as suggestions for experiments. Judging by Google Analytics this site has had a far-reaching impact (67,000 visitors from 186 countries in the two years it has been active). As many of us engaged in outreach will attest, the whole process is a lot of fun and highly rewarding. Seeing children enthused by science is a great joy. Plus I still get to marvel at all kinds of things down the microscope, which is what got me into this game in the first place! This post is part of a series on science outreach. You can read the introduction to the series here and read other posts in this series here.